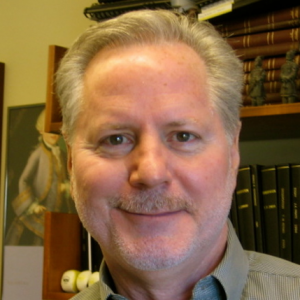 Dr. McHugh earned his Ph.D. in Chemical Engineering from the University of Delaware in 1981. 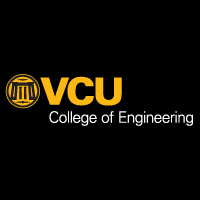 He is currently a Professor Emeritus of Chemical Engineering at Virginia Commonwealth University (VCU). He was an Assistant Professor in the Chemical Engineering Department at the University of Notre Dame from 1981 till June 1985 and an Assistant Professor, Associate Professor, and Professor at the Johns Hopkins University from July 1985 till August 1999. His research group has exploited the underlying physics and chemistry of supercritical fluid (SCF)-assisted technologies to create materials with unique morphology and function not attainable by other means. His group utilizes high-pressure, high-temperature (HPHT) techniques and an experimental design to reveal fundamental solution property information at a molecular level. His group has coupled HPHT solution techniques with dynamic light scattering and small angle neutron scattering techniques to modulate and identify molecular interactions between the components in solution at extreme operating conditions. The group utilizes a design protocol that systematically varies both the molecular structure of the SCF solvent and the solute of interest. The information generated in this research provides a stringent test of contemporary solution theories and computer simulations developed to predict phase behavior and other fluid properties. During his career, he has secured approximately $4.5 million of corporate funding and approximately $4 million of government funding for his research program. He has graduated 13 PhD students and 19 MS students and has had four visiting foreign faculty colleagues work in his laboratories. He has mentored more than 12 Postdoctoral Research Associates, several of which who have gone on to successful academic careers. He currently has published more than 150 peer-reviewed manuscripts, one book, and he has been awarded seven patents. Professor McHugh was awarded Emeritus status in February 2015, although he maintains a fully operational laboratory in the Chemical and Life Science Engineering (CLSE) Department staffed with a full-time Research Professor and a PhD graduate student all supported with external funds. His current research interests are the measurement and prediction of fluid viscosity, density, phase behavior, interfacial tension, and thermal properties at extreme operating conditions up to 3,000 bar and 300 °C. Silk fibroin (SF) is a natural protein, which is derived from the Bombyx mori silkworm. SF based porous materials are extensively investigated for biomedical applications, due to their biocompatibility and biodegradability. In this work, CO2 assisted acidification is used to synthesize SF hydrogels that are subsequently converted to SF aerogels. The aqueous silk fibroin concentration is used to tune the morphology and textural properties of the SF aerogels. As the aqueous fibroin concentration increases from 2 to 6 wt%, the surface area of the resultant SF aerogels increases from 260 to 308 m(2) g(-1) and the compressive modulus of the SF aerogels increases from 19.5 to 174 kPa. To elucidate the effect of the freezing rate on the morphological and textural properties, SF cryogels are synthesized in this study. The surface area of the SF aerogels obtained from supercritical CO2 drying is approximately five times larger than the surface area of SF cryogels. SF aerogels exhibit distinct pore morphology compared to the SF cryogels. In vitro cell culture studies with human foreskin fibroblast cells demonstrate the cytocompatibility of the silk fibroin aerogel scaffolds and presence of cells within the aerogel scaffolds. The SF aerogels scaffolds created in this study with tailorable properties have potential for applications in tissue engineering. The cis and trans conformation of a branched cyclic hydrocarbon affects the packing and, hence, the density, exhibited by that compound. Reported here are density data for branched cyclohexane (C6) compounds including methylcyclohexane, ethylcyclohexane (ethylcC6), cis-1,2-dimethylcyclohexane (cis-1,2), cis-1,4-dimethylcyclohexane (cis-1,4), and trans-1,4-dimethylcyclohexane (trans-1,4) determined at temperatures up to 525 K and pressures up to 275 MPa. Of the four branched C6 isomers, cis-1,2 exhibits the largest densities and the smallest densities are exhibited by trans-1,4. The densities are modeled with the Peng-Robinson (PR) equation of state (EoS), the high-temperature, high-pressure, volume-translated (HTHP VT) PREoS, and the perturbed chain, statistical associating fluid theory (PC-SAFT) EoS. Model calculations highlight the capability of these equations to account for the different densities observed for the four isomers investigated in this study. The HTHP VT-PREoS provides modest improvements over the PREoS, but neither cubic EoS is capable of accounting for the effect of isomer structural differences on the observed densities. The PC-SAFT EoS, with pure component parameters from the literature or from a group contribution method, provides improved density predictions relative to those obtained with the PREoS or HTHP VT-PREoS. However, the PC-SAFT EoS, with either set of parameters, also cannot fully account for the effect of the C6 isomer structure on the resultant density. for predicting the viscosity of hydrocarbon mixtures and diesel fuels up to high temperatures and high pressures. The compounds found in diesel fuels or hydrocarbon mixtures are represented as a single pseudo-component. The model is not fit to viscosity data but is predictive up to high temperatures and pressures with input of only two calculated or measured mixture properties: the number averaged molecular weight and hydrogen to carbon ratio. Viscosity is predicted less accurately when the mixture contains high concentrations of iso-alkanes and cyclohexanes. However, it is shown that predictions for these mixtures are improved by fitting a third parameter to a single viscosity data point at a chosen reference state. For hydrocarbon mixtures, viscosity is predicted with average mean absolute percent deviations (MAPDs) of 12.2% using the two-parameter model and 7.3% using the three-parameter model from 293 to 353 K and up to 1000 bar. For two different diesel fuels, viscosity is predicted with an average MAPD of 21.4% using the two-parameter model and 9.4% using the three-parameter model from 323 to 423 K and up to 3500 bar. Viscosity is a critical fundamental property required in many applications in the chemical and oil industries. In this review the performance of seven select viscosity models, representative of various predictive and correlative approaches, is discussed and evaluated by comparison to experimental data of 52 pure hydrocarbons including straight-chain alkanes, branched alkanes, cycloalkanes, and aromatics. This analysis considers viscosity data to extremely high-temperature, high-pressure conditions up to 573 K and 300 MPa. Unsatisfactory results are found, particularly at high pressures, with the Chung-Ajlan-Lee-Starling, Pedersen-Fredenslund, and Lohrenz-Bray-Clark models commonly used for oil reservoir simulation. If sufficient experimental viscosity data are readily available to determine model-specific parameters, the free volume theory and the expanded fluid theory models provide generally comparable results that are superior to those obtained with the friction theory, particularly at pressures higher than 100 MPa. Otherwise, the entropy scaling method by Lötgering-Lin and Gross is recommended as the best predictive model.